Description: By any definition, the Red Course is a real classic. Originally designed by Deveroux Emmet as part of the private, five-course Salisbury Country Club, this course hosted the 1926 PGA Championship (when it was still match-play), which Walter Hagen won, the third of his historic four PGAs in a row. 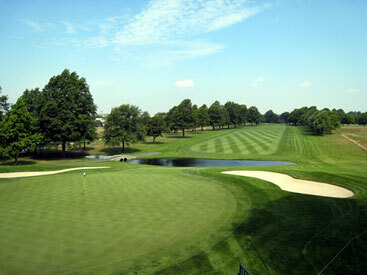 With some lengthening and modernization, the Red has stood the test of time, hosting a Champions Tour event in 2008 when it played to a 6,904-yard par-70. Although not incredibly difficult on an average day, the Red is relatively flat but features a great mix of doglegs and small, well-guarded greens. In classic Emmet fashion, a lot of the holes require a distinct plan from tee to green, with approach-shot angles being paramount. When the fairways are narrowed and the thick rough is grown out, the Red can be a real test. Reader Comments: My favorite course out here because you can play it every day and not get bored ... The conditions are phenominal for how much play it gets ... The recent renovations/improvements have made it even better ... My wife’s a high-handicapper and I’m a two-handicap, and we both enjoyed the experience immensely. 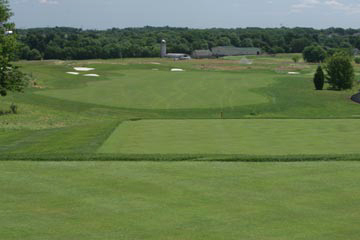 Description: The Hurdzan/Fry course is built on the wide expanses and rolling hills that Somerset county had to offer. Although there are 36 holes on the 350 acres (there are still 70 acres unused that are to be made into parkland), the two 9-hole courses combined that make this list are both the toughest and most enjoyable of the bunch. The open expanse and rolling terrain of Neshanic Valley. The Meadow and Lake courses are pretty long, but with wide open fairways and only a smattering of bunkering before the greens, it's more a grip-it-and-rip-it strategy off the tee. The main thing to avoid is the long, fescue grasses that boarder some of the fairways, and lurk around the greens, as well. Coupled with some wetland areas, there is some trouble out there, but normally pretty far off the beaten path. The greens are generally pretty big, with some subtle undulation that make for interesting pin positions. Because the course is kept in such good condition, the greens can also get a little quick, so when to be aggressive is paramount if you're looking to score. Overall, the place is a delight, and is playable for all levels. Reader Comments: A beautiful new addition the area ... Every course here is unique, and they're all great ... Kept in great shape ... I love the Meadow 9, and it can be really tough when the wind is up ... It's a little long from the back tees, but not too penal if you're off line.